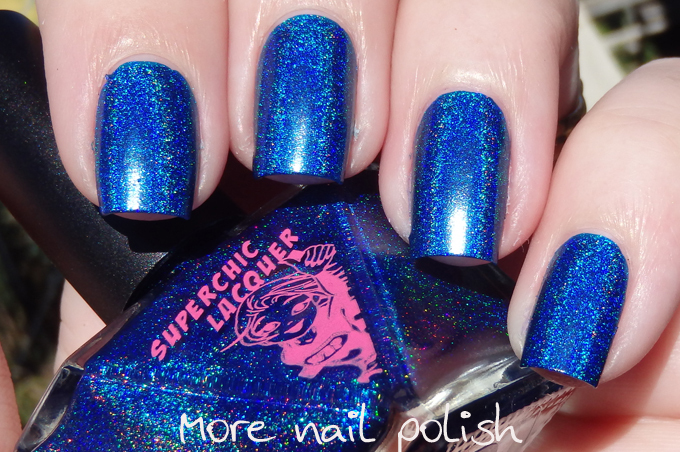 Next time that the fabulous Jennifer from Wonder Beauty Products offers to send me some polishes to review, I have to remind myself how completely awesome Superchic polishes always are. 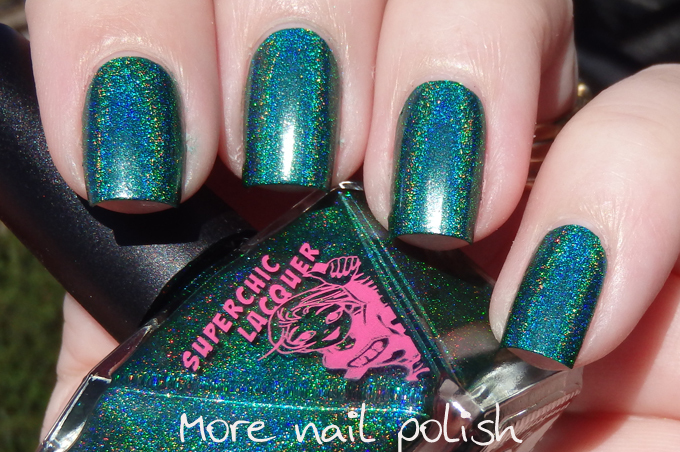 Next time I wont say to her "Hey I'm really busy and don't want to take on too many polishes, so just send me a few", because damn it, her polishes are just too awesome. Case and point is her recently Dreamology Collection. 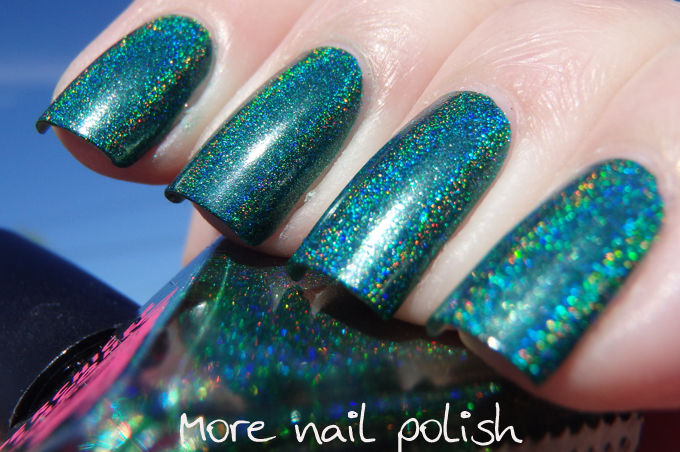 Oh Em Gee ladies, these are some of be best holos I've seen in a while, and stupid me only said "send me three". 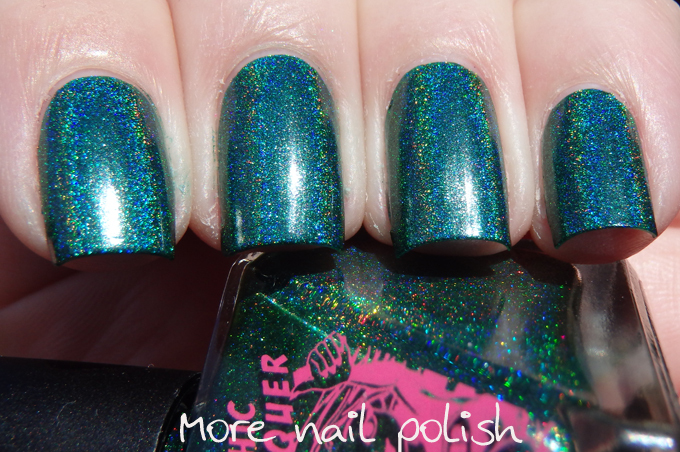 There are three other polishes in this collection, and I think I'll have to jump over to her site and grab the others. Let me show you why. 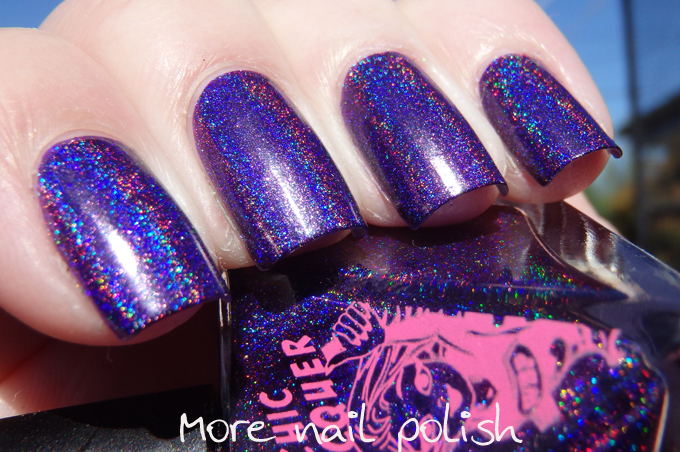 40 Winks - this intense violet purple linear holo is shown here at just one coat. 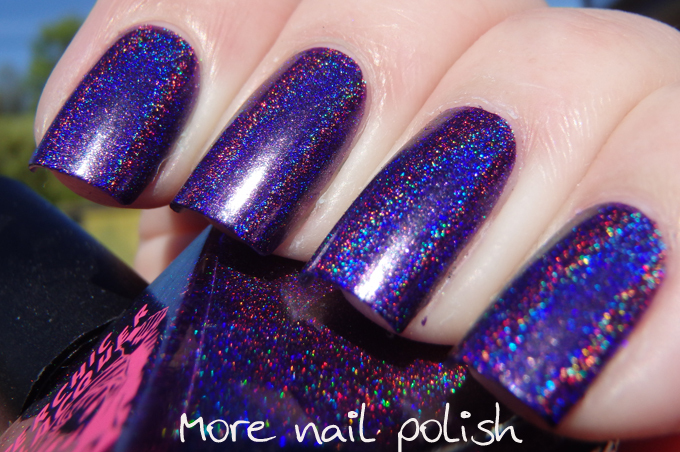 One coat of perfect coverage but still an intense holo flame. 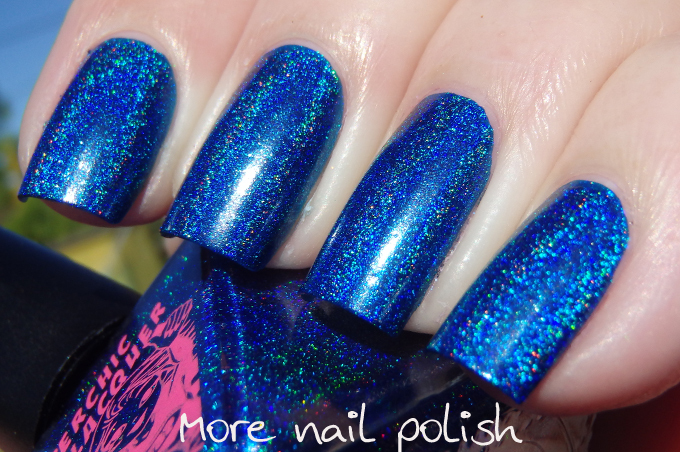 Lucid Lala Land - a bold and pigmented blue with a strong holo flame. Again, this is just a single coat. 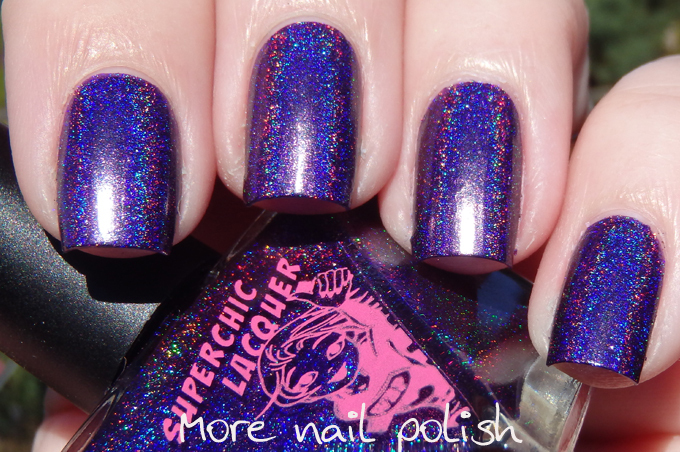 I've only ever seen the Dance Legend holos have this much flame and strong pigmentation. I love this one so much! 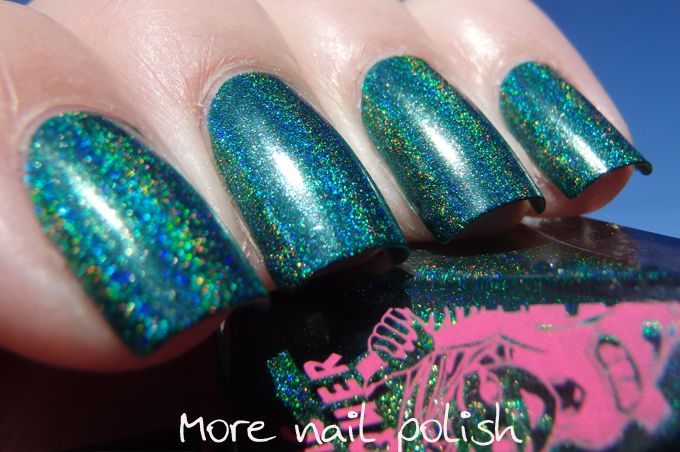 No Rest for the Wicked -a deep emerald green, with (you guessed it) strong holo and amazing pigmentation. Just one coat for full coverage. All my swatches show a single coat with no top coat over base coat. 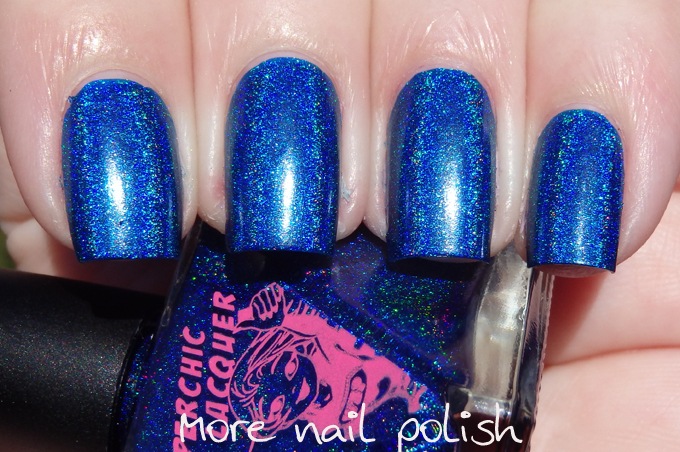 Because of the high colour saturation, you'll want to make sure you wear base coat, which I did,and therefore I had no issues with staining, even after wearing Lucid Lala Land for about 4 days. The Dreamology Collection is available from Wonder Beauty Products now (there was a restock about 12 hours ago, so you will have to be quick as this was the third restock due to it being a high demand collection). Just got this collection this week. They all positively glow in the sun! I'm amazed that these all have just one coat! <3 40 winks!